Pepperoni Pizza Rolls make the best after school snack, appetizer, or even a meal! Use pre-made pizza dough, mini pepperonis, and your favorite pizza sauce for a quick snack. Our mom used to have a snack ready and waiting for us everyday when we got home from school. It was always the best part of the day. 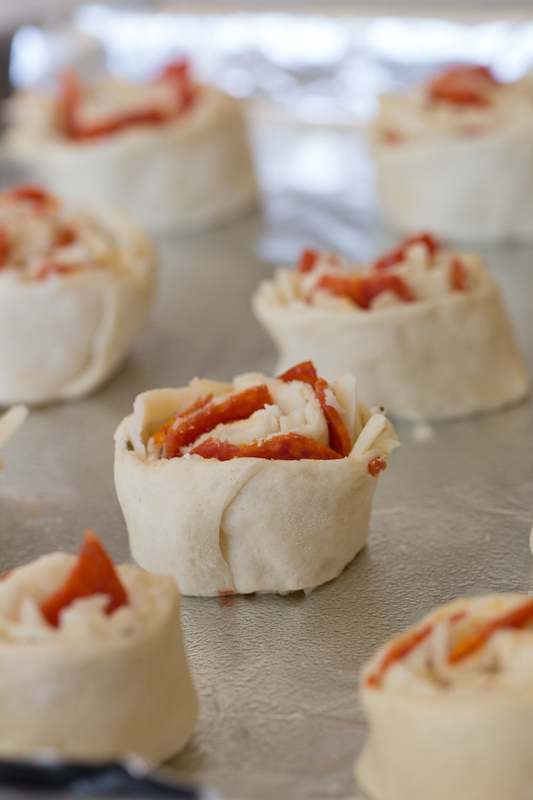 These pizza rolls always take me back to those days, but now we’ve even served them for dinner! We’re all about easy at our house! 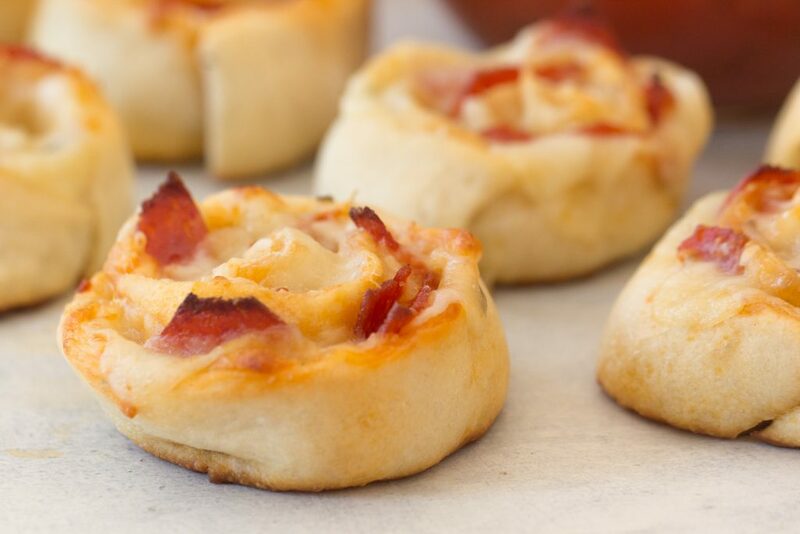 We love using Pillsbury Pizza Dough for this recipe, but a homemade pizza dough works too! If you’re looking for a good homemade pizza crust, this recipe from All Recipes for Homemade Pizza Dough is delicious and simple! On a lightly floured surface, roll out each pizza crust. It should come with two in each roll. Season each crust with garlic salt and Italian seasoning. We like to sprinkle ours with a little bit of parmesan cheese too! Sprinkle one cup of shredded Mozzarella onto each crust. Top each crust with 1/2 cup chopped pepperoni or mini pepperonis. Roll up each crust into a tight log, don’t worry about getting the perfect roll, you really can’t mess these up! Slice into 1 inch sections with a knife or pizza cutter. We’ve also used plain (not the minty flavored!) floss to cut these, again it’s pretty hard to mess up. If the knife smashes them a little just reform them into circles. Place on a lightly greased baking sheet. For easiest clean up, we line our pan in foil and grease the foil. Bake for 10-12 minutes or until the crust begins to golden. Serve with marinara sauce for dipping, or ranch! Making it a meal? 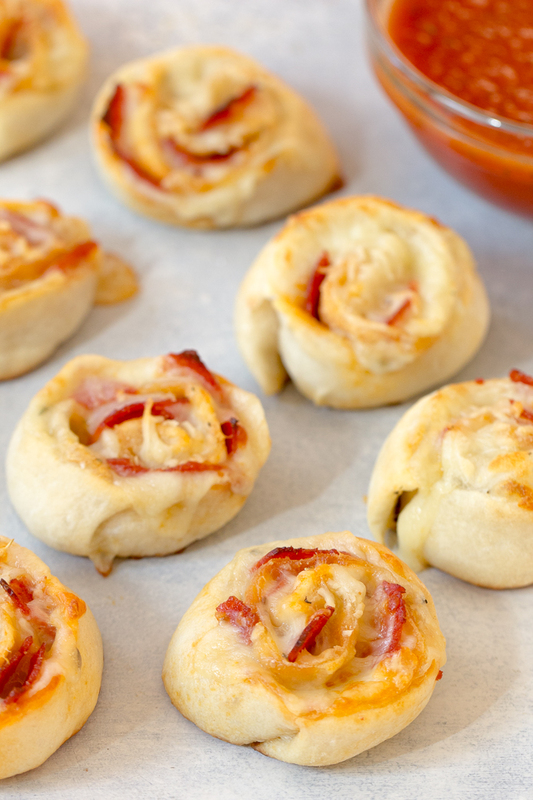 Here are a few things you could serve with your Pepperoni Pizza Rolls! On a lightly floured surface, roll out each pizza crust. Top each crust with 1/2 cup chopped pepperoni. Roll up each crust into a tight log. Slice into 1 inch sections with a knife or pizza cutter. In this video, we’re making our favorite cheesy pizza rolls! These look so delicious! Thank you so much for sharing! Pinned! I haven't made these in a long time. 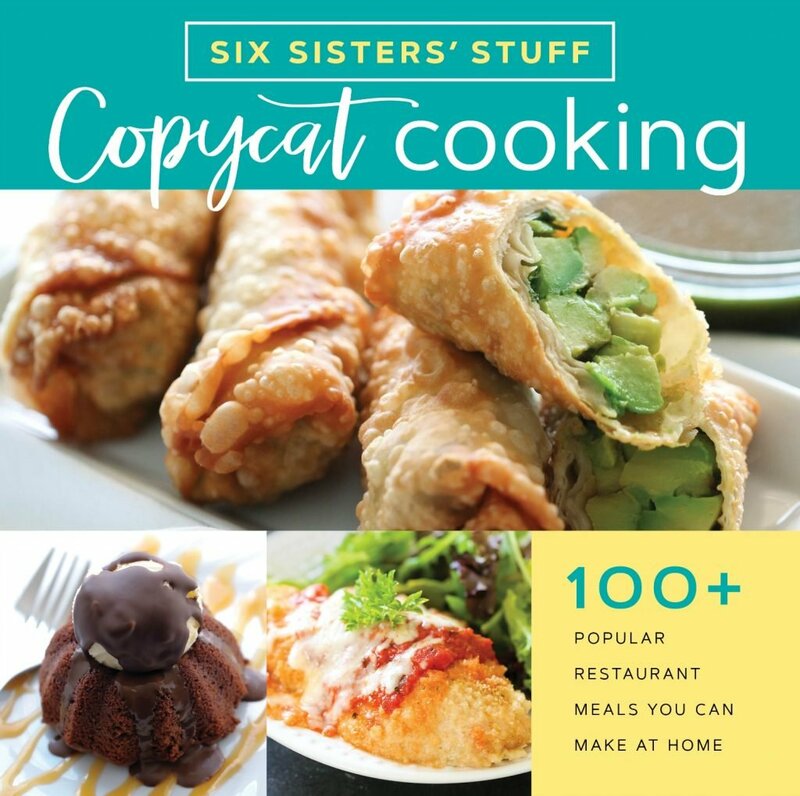 Isn't it funny how you forget recipes. They are perfect for kids and for appetizers. Yum! Last night, I didn't have the pizza crust, but I did have crescent rolls so I made some "Pizza Crescents" instead.. they were delicious =) I will have to try this variation as well. Looks awesome, gonna try this soon. I'm pregnant and love love LOVE pizza. Thank you for the idea. I think it would work fine with biscuits, but might be a little hard to roll out. I found the pizza crust in the same section as the biscuits. Hope you like it! Making this into a meal. What do you serve on the side? I think this would go great with a green salad! Hope you like it! I tried these this week and the entire family LOVED them. My 4 year old was even excited that she was able to help me make them! Thanks for the great recipe! Madt this today and went 3 for 3 - all 3 family members who were home LOVED it - shared it on my blog in "Friday Football Fare"! Thanks so much! Sounds so good and easy! How many does this serve? I have 4 'babies' 9 and under. How much garlic salt and Italian seasoning did everyone else use? "To taste" seems too broad for me, I don't want to over season. We added about 1/4 teaspoon. If you like those ingredients, add a little more. Hope this helps. Hi. 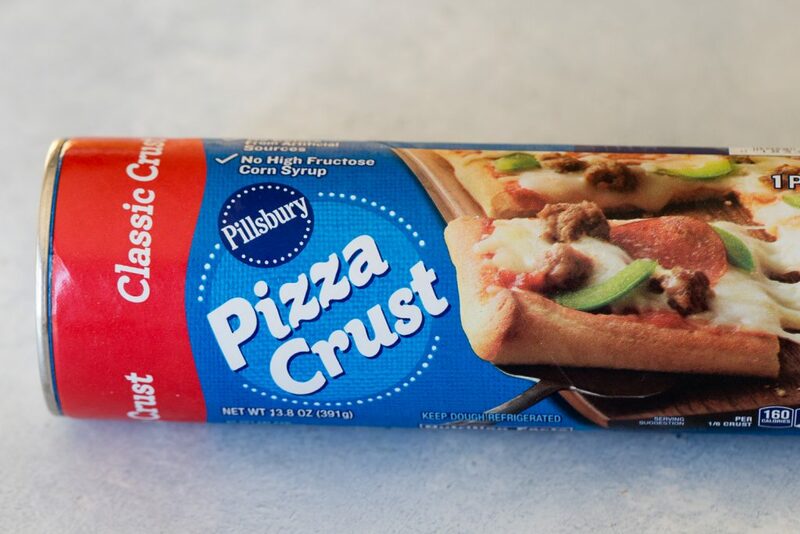 I live in Panama, what substitute can i use for the pizza crust ?? Do you a video ?? Can i use instead the regular base por pizza ?? You could use any type of bread dough. Do you roll from the shirt or long end? Roll the long end up.